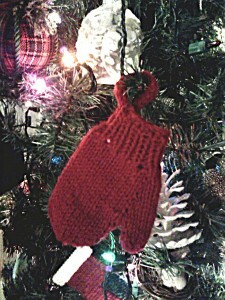 I made this cute little baby-sized mitten Christmas ornament today. It’s called Smitten, and it’s a FREE PATTERN from Knit Picks. It’s knit on dpn’s with scrap worsted yarn. 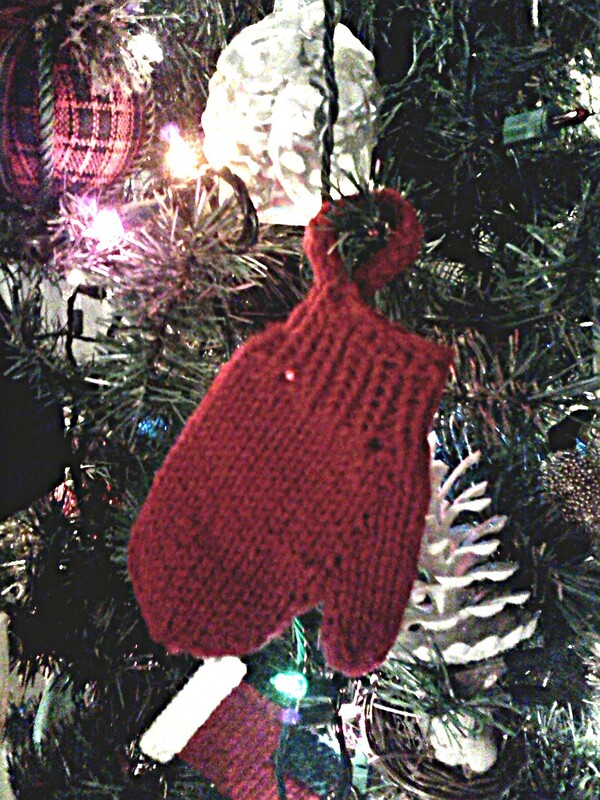 It’s a real mitten too, so I might just try making a pair for a baby gift.